Mollie Tibbitts - Disappeared July 18, 2018, Brooklyn, Iowa, Found Deceased August 21, 2018 in an Iowa corn field. Dr. Vass offered his help to find Mollie Tibbitts, but Iowa police authorities rejected his help. While details of her death are still emerging, it’s believed that a 24-year-old illegal alien (Christhian Rivera) was stalking her as she was out jogging one day. He told police that he got out of his car and began to run with her. She got scared and began to run much faster. Rivera also increased his speed to catch up with her and presumably stabbed her to death right then and there. Again, police are not releasing that information. According to the ME (medical examiner), Mollie died from multiple stab wounds. Rivera told police he stuffed her body into the trunk of a black Malibu then drove a few miles to dump Mollie in a cornfield. He allegedly told police he covered up Mollie’s body with corn stalks to conceal her location. Suspect Rivera claimed to have blacked-out and when he awoke she was in the trunk of his car. Now authorities are looking for the instrument of death. Presumably, Rivera killed Mollie on the very day she went for her run or the next day. That may have all been divulged with authorities during the interviews they had with him just prior to his confession. Sadly, no one from law enforcement would return any calls to Dr. Vass, because Vass and his new machine could have found Mollie within hours after she disappeared, instead of five weeks later. Vass can still help by finding the murder weapon with his machine. Yes, his machine can detect droplets of blood from far off in the distance. His new invention can find people dead or alive, but police have yet to be made believers. It’s the same old story. The police seize the case and subtlety threaten the parents that if they say the wrong thing, they could jeopardize the legal case against people who may have caused their son/daughter harm, and worse yet, they may not be able to find their missing loved one. It’s a veiled threat to keep your mouth shut and don’t go talking to anyone we don’t first approve of. Police understandably take aggressive action to protect the parents and loved ones from the press and others. And, the prudent lawman/woman wants to investigate in a vacuum of complete secrecy to protect the sanctity of the investigation. Police sometimes go as far as shutting down their phones and other communication devices of the parents and loved ones, with their permission of course, but after they have been browbeaten for several hours. This may have happened in the Tibbetts case. Several attempts were made to speak with either the mother or father of Mollie Tibbetts, but to no avail. FRS needs a family reference sample, normally fingernail clippings, that Dr. Vass will carefully insert into his incredible new machine to locate the missing loved one. We cannot help parents, family, and friends unless a reference sample is taken from an immediate relative such as a mother, father, brother or sister. And, if the police are blocking our attempts to contact them, well… they’re missing out on some incredible science. The question arises; how much evidence was lost during the five weeks Mollie’s body was left decaying in the summer sun? Police were very fortunate, the killer confessed so quickly. If he said, ‘I don’t know what you’re talking about,’ law enforcement officials would have to prove their case forensically. Many a criminal beat the rap because the seed of reasonable doubt had entered the courtroom. The human body decays very rapidly in high heat conditions. After the Battle of Tarawa during World War II, the military had to contend with thousands of bodies decaying in the heat of a tropical island. This is why they scurried so quickly to get the corpses buried, the stench and potential for disease were too great. The problem was in their haste, the military forgot where they buried our Marines. They are still being recovered even 75 years later. During this decay process, critical evidence begins to dissipate. It was just another case where Dr. Vass and his extraordinary invention could have assisted in locating Mollie Tibbetts, regardless of whether she was dead or alive. If she were alive, they possibly could have saved her life. If she were deceased they could have found the killer in hours rather than weeks with the evidence her body could have provided. To have such a tremendous tool available to law enforcement and have them disregard it, is an absolute shame. 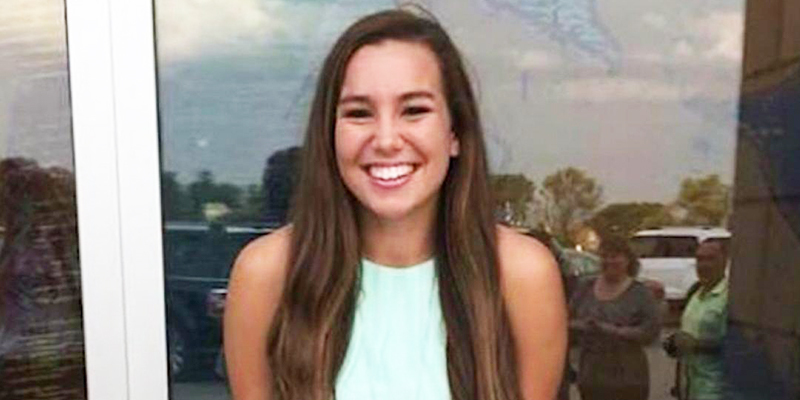 Dr. Vass could have found Mollie Tibbetts within minutes after hitting the ground in Iowa. But, local law enforcement officials were too smug to even return a phone call, which they should have done the moment they read his resume they received. Unfortunately, there will be other young women murdered, and perhaps those law enforcement officials will be a bit more open-minded to the help that science can offer.